A sheriff’s deputy was flagged down by two Guatemalan men a little before 8 a.m. Thursday, a stop that resulted in the discovery of a migrant stash house holding approximately 40 individuals. 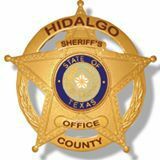 The two men asked the deputy “for food, water and rescue,” a Hidalgo County Sheriff’s Office social media post noted. The Sheriff’s office, in conjunction with Border Patrol, subsequently found more than 38 migrants inside a house located east of Sunflower Road on Mile 21 1/2 Road.